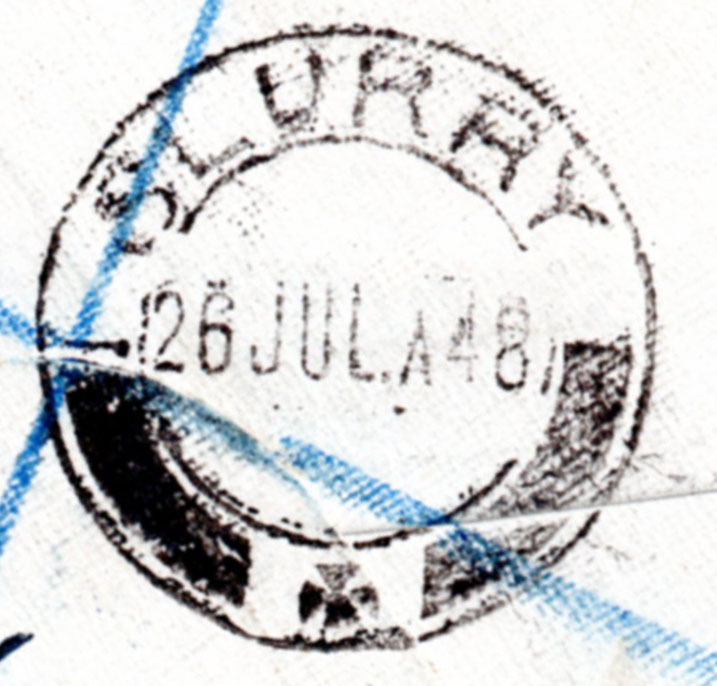 Slurry is a settlement in Ngaka Modiri Molema District Municipality (formerly the Marico district) in the North West province of South Africa, 22km north-east of Mafikeng and 15km south-west of Ottoshoop. A large cement factory is located there and the village derives its name from the mixture of limestone, slate and other components in the manufacture of cement. The R49 road passes the village to the north and the Johannesburg to Mafikeng railway line follows a similar route, though much closer to the factory where large sidings can be seen from online views. The cement factory is currently owned by Pretoria Portland Cement (PPC Ltd) which is a South African cement producing company with eight manufacturing facilities and three milling depots in South Africa, Botswana and Zimbabwe and has over 3000 employees. According to Putzel the Post Office opened on 1st November 1919 as a Postal and Telephone Agency, upgraded to a Post Office on 4th July 1921. 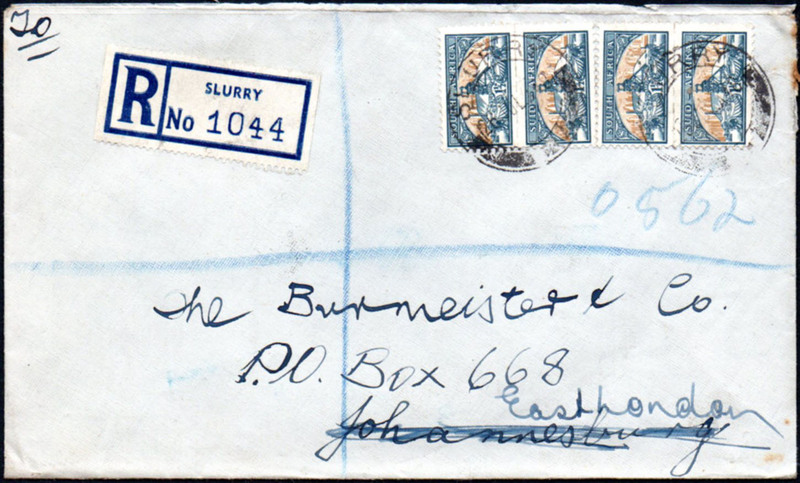 The illustrated cover comes from the “Burmeister” hoard and shows a registered cover, posted on 26th July 1948. 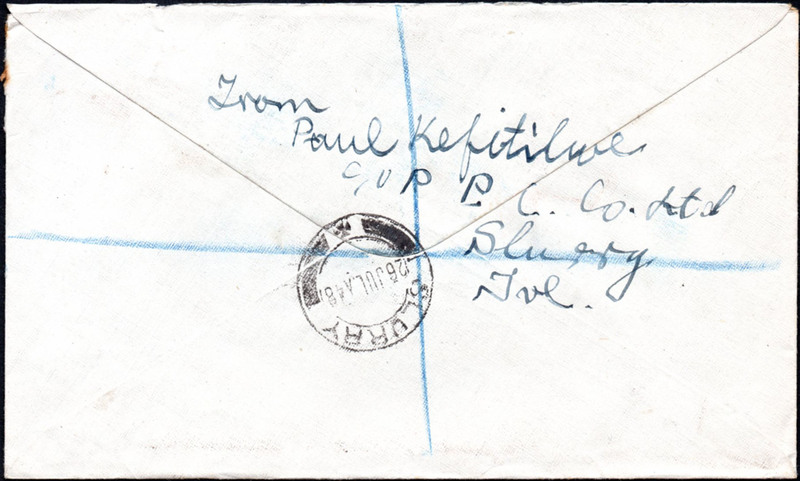 The return address shows the sender, Paul Kefitilwe, was an employee at the cement factory.